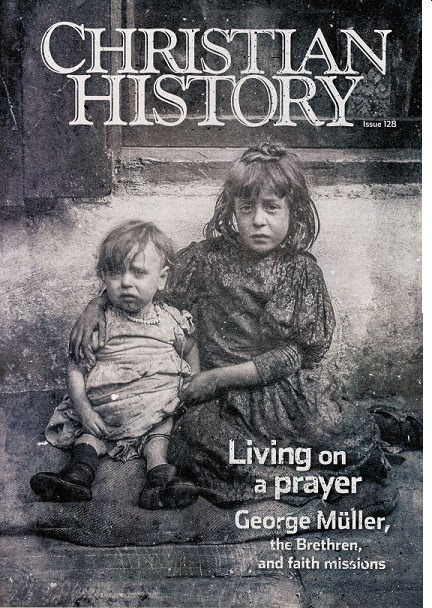 Christian History Institute (CHI), publisher of Christian History magazine (CHM), announces its latest issue, titled: Living on a Prayer: George Müller, the Brethren and Faith Missions. The entire issue explores the life and times of George Müller, the Prussian pastor who settled in Bristol, England with a mission to evangelize, seek unity of the New Testament church and, relying on prayer alone, provide for the country’s orphan children. CHM issue #128 takes an in-depth look at Müller’s personal life and traces the influence of his extraordinary faith mission and the Brethren movement that has influenced evangelicalism for almost 200 years. George Müller (1805-1898), at the age of thirty entered the Martin Luther University of Halle-Wittenberg in his native Germany, having decided to pursue theology, against his father’s wishes. During that same year of 1825, meeting with a small group of believers at a house-church gathering, he experienced his own personal conversion of faith. That experience changed his life and set him on a course away from habitual sin to a calling as a missionary. After receiving his diploma from Halle, Müller was invited to join the ministry work of the London Society for Promoting Christianity among the Jews (LSPCJ, later the Church Mission to the Jews). Once relocated in England, Müller began his pioneering career in what would become known as para-church ministry. Characteristically, Müller worked hard at LSPCJ, nearly to exhaustion. After a serious illness and much reflection, he took a sabbatical rest in the sea-side area of Plymouth and Devon, England. There he met Scotsman Henry Craik who had also been converted while at university, and he a met Anthony Norris Groves (see the article, “The ‘simple standard of God’s Word’”). Groves had convinced Craik that Christ was speaking literally when he said, “Sell your possessions and give to the poor” (Matt. 19:21). These two men along with other ‘faith in mission’ leaders, strongly influenced Müller, leading him further to a personal relationship with his Savior, Jesus Christ and his calling to minister to the poor (see the article, “Delighted in God”). In 1834, along with Henry Craik, Müller founded The Scriptural Knowledge Institution (SKI), an early para-church organization. The SKI mission was, and continues to this day, to support missionaries at home and abroad; provide a source of affordable Bibles and tracts; open and support Day-Schools and Sunday-Schools for adults and children. The Orphan Homes were to become a fifth objective of SKI. George Müller, preacher, author, and orphan home founder/director, undertook a unique approach to missionary work, refusing to accept a pre-arranged salary and funding raised by denomination boards. He did not plan budgets; speak to people about how much money he needed or send out letters begging others to supply his needs. Instead, he knelt with his wife and a few close friends and prayed. Those prayers were answered by people who brought money, food, clothes, furniture, and just about everything needed by his orphanage. Müller’s approach to rely exclusively upon prayer for resources and funding became legendary. The Brethren influence was long-lasting, reaching out to touch such familiar figures as Amy Carmichael (see the article, “For the love of God’s Word”) and Hudson Taylor (see the article, “Thus far the Lord has helped us”) in the nineteenth century as well as F. F. Bruce and Jim Elliot in the twentieth. The Brethren taught the importance of Bible study and following God’s will, the raising of funds by way of prayer and the signs of Jesus’s Second Coming. The Brethren movement reached the world with Bible instruction and missionary work that has reverberated through evangelicalism for almost 200 years. CH issue #128, contains 10 feature articles and 4 shorter side-bar articles; a chronology time-line; an archive of rare art-work & photos; a ‘letter to the editor’ section and an extensive reading list compiled by the CHM editorial staff. 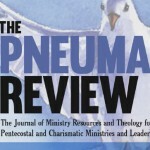 The magazine is available on-line and can be conveniently read on screen at: https://christianhistoryinstitute.org.